Henning Stille Berg (Norwegian pronunciation: [ˈhɛnˈnɪŋ ˈstɪlˈlə ˈbærg]; born 1 September 1969) is a Norwegian football manager and former player who played as a defender. He is currently the manager of Hungarian League club Videoton FC. His career lasted from 1988 to 2004, most notably in the Premier League where he won titles with both Blackburn Rovers and Manchester United, becoming the first player to win the Premier League with two clubs. He also played in his native land for Vålerenga and Lillestrøm before finishing his career in the Scottish Premier League with Rangers. He was capped 100 times by Norway, scoring nine goals. Berg became a manager in 2005 with Lyn and then Lillestrøm. He returned to Blackburn as manager in 2012, but was sacked after just 57 days in the post, overseeing 10 games including only one victory. In January 2014, he became the new coach of Legia Warsaw. Born in Eidsvoll, Berg played for Vålerenga and Lillestrøm before coming to England. Blackburn Rovers manager Kenny Dalglish attended a match between England and Norway at Wembley on 14 October 1992 to scout Tore Pedersen, but Pedersen was injured during the match and replaced by Berg. Dalglish was so impressed with Berg that he later offered him a contract. Berg joined Blackburn in January 1993 for £400,000. Berg made his debut for Blackburn on 2 February 1993, coming on as a substitute in a 2–1 Premier League home defeat to Crystal Palace. He soon made the right-back position his own in the Rovers side and played a vital role in Blackburn's successful title-winning season under manager Kenny Dalglish in 1994–95, missing only two games throughout the season. Also a competent centre-back, Berg's versatility and consistent performances for Blackburn earned him a move to Manchester United in 1997 for a fee of £5 million – at the time the joint-highest fee ever paid for a defender by a British club. Berg had supported Manchester United as a boy and manager Alex Ferguson had first wanted to sign Berg for United nine years earlier when he was a teenager, but the move fell through because United could not obtain a work permit. Berg was a regular choice in the Manchester United line-up during the 1997–98 season, but the arrival of Jaap Stam in July 1998 meant he was restricted to just 16 Premier League appearances in 1998–99 as the team won the Treble of the Premier League, the FA Cup and the UEFA Champions League. Berg missed the 1999 FA Cup Final and the 1999 UEFA Champions League Final through injury, but still picked up a medal for both, having been involved in most of the team's matches on the way to the final. With the league title in 1999, Berg became the first player to win the Premier League with two clubs, a feat he would be alone with until 2010. Later Ashley Cole Nicolas Anelka, Gael Clichy, Kolo Touré, Carlos Tevez and Robert Huth matched the feat. Berg regained his place in the side during the 1999–2000 season, when Ronny Johnsen was injured. Berg rejoined Blackburn Rovers in September 2000, initially on loan for three months, before securing a permanent transfer under manager Graeme Souness. Rovers were promoted back to the Premier League in 2000–01. Further success followed for Berg in the following season, when Blackburn won the League Cup, beating Tottenham Hotspur 2–1 at the Millennium Stadium in Cardiff, with Berg lifting the trophy as captain. Berg later moved on from Blackburn and had a season at the Scottish club Rangers in 2003–04, where he played his last game professionally. At international level, Berg was part of the Norwegian national team at the 1994 and 1998 FIFA World Cups, as well as Euro 2000. He made his debut for Norway in a friendly against the Faroe Islands in May 1992 and earned a total of 100 caps over a period of 12 years, scoring nine goals. His final international match was a friendly against Wales in May 2004, in which he was substituted early on by Claus Lundekvam to mark the end of his Norway career. On 22 April 2005, Berg was appointed manager of Lyn at the age of 35, signing a four-year contract with the Oslo side. His first game with Lyn was against Start two days later, getting a 1–1 draw, followed by a 6–1 win against Molde the next week. Lyn finished third that season. On 19 August 2008, Lyn announced that Berg had accepted an offer from Lillestrøm, where he had last played in 1992. He signed a five-year contract and took over as head coach on 21 October 2008. On 27 October 2011, Berg was sacked three matches before the end of the season as investor Per Berg promised fresh funds for acquiring quality players after the season. While working as a pundit for Norwegian TV, Berg had made a withering assessment of Blackburn Rovers' owners, Venky's. He said: "There are no real managers with credibility who would accept a job like that." On 31 October 2012, Blackburn Rovers announced that Berg had accepted an offer for a three-year contract to manage the club. He became Blackburn's first foreign manager. Berg said of his previous comments about the club's owners, Venky's: "That was me looking at it from the outside without knowing really what was going on in the inside. I think this club at the moment is going in the right direction." Berg's first match in charge of Blackburn came on 3 November 2012, a 2–0 defeat away to Crystal Palace. His first and only win was on 17 November 2012, a 4–1 victory away to Peterborough. That was to prove to be his only win as Blackburn manager, as Berg was sacked on 27 December, after just 57 days in the post. On 14 February 2013, the LMA lodged legal proceedings to the high court against Blackburn Rovers for non-payment of wages to Berg. Since leaving Blackburn Rovers, Berg has worked as a scout on an informal basis for Norwich City, looking at matches in both England and Germany. On 19 December 2013 it was announced that he will be new manager of Legia Warsaw starting from 1 January 2014. In his first full season as coach, he led the team to the Polish Ekstraklasa title. On 5 October 2015 he was sacked while sitting second in the league, following a 2-2 draw against Górnik Zabrze. On 5 May 2016 Berg signed a 2-year contract with Székesfehérvár-based Hungarian League club Videoton FC. 2006 FC Lyn Oslo 7th 26 10 5 11 33–36 −3 35/78 4th Round UEFA Cup 1st Qual. Round. 2008 FC Lyn Oslo – 19 8 5 6 27–23 +4 29/57 Qtr Final Left by mutual consent. First player to win the Premier League with two clubs. First Norwegian to win the top English league. ↑ Holm, Jan. "Henning Berg". Store Norske Leksikon (in Norwegian). Retrieved 6 November 2012. ↑ "FORMER MANCHESTER UNITED STAR APPOINTED HEAD COACH OF HUNGARIAN TEAM VIDEOTON". Hungary Today. 5 May 2015. 1 2 3 "Blackburn Rovers: Henning Berg appointed manager at Ewood Park". BBC Sport. 31 October 2012. Retrieved 5 November 2012. ↑ Gaughan, Jack (1 November 2012). "Blackburn Rovers opt for untried former fan favourite Henning Berg to lift the gloom". The Independent. London. Retrieved 6 November 2012. ↑ "Berg joins Blackburn". New Straits Times. 30 January 1993. Retrieved 10 February 2013. ↑ Cryer, Andy (2 November 2012). "Berg believes in Blackburn Rovers ambition". Lancashire Telegraph. Retrieved 6 November 2012. ↑ Nixon, Alan (12 August 1997). "Berg makes £5m move to United". The Independent. London. Retrieved 3 July 2014. 1 2 Flanagan, Chris (1 November 2012). "Berg was big part of a great era at Ewood". Lancashire Telegraph. Retrieved 10 February 2013. ↑ "United land Berg after nine years". New Straits Times. 12 August 1997. Retrieved 10 February 2013. ↑ "RECORD: Three more players win PL with two clubs". Infostrada Live. 14 May 2012. Retrieved 6 November 2012. ↑ "Blackburn Rovers: Henning Berg appointed manager at Ewood Park". BBC Sport. BBC. ↑ Søfting, Thomas. 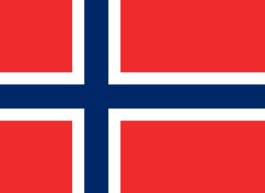 "Norway – Record International Players". Rec Sport Soccer Statistics Foundation. Retrieved 6 November 2012. 1 2 Farrell, Dominic (1 November 2012). "Berg rows back on criticism of Blackburn owners as he takes charge". Independent IE. Retrieved 6 November 2012. ↑ "Crystal Palace 2–0 Blackburn". BBC Sport. BBC. 3 November 2012. ↑ "Peterborough 1–4 Blackburn". BBC Sport. 17 November 2012. ↑ "Henning Berg: Blackburn Rovers sack manager after 57 days". BBC Sport. BBC. 27 December 2012. Retrieved 27 December 2012. ↑ "Transfer news: Henning Berg reveals he is filling scouting role for Norwich". Sky Sports. BSkyB. 27 November 2013. Retrieved 27 November 2013. ↑ "Henning Berg trenerem Legii Warszawa". Legia Warsaw. 19 December 2013. Retrieved 19 December 2013. ↑ "Videoton: bejelentették Henning Berg érkezését – hivatalos". Nemzeti Sport. 5 May 2015. ↑ "Henning Berg a Videoton FC új vezetőedzője". Official Website of Videoton FC. 5 May 2015. ↑ Bryne, Lars (31 October 2012). "Tilfeldigheter gjorde at Berg ble Blackburn-spiller". Norwegian Broadcasting Corporation (in Norwegian). Retrieved 1 November 2012.